Wow Marvel is now hitting it out of the park with this first issue. 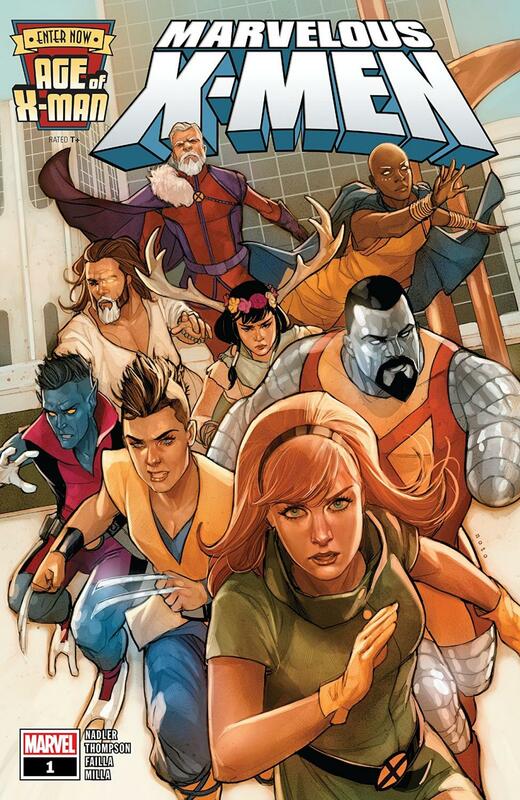 It's been awhile since we really had an x-book that really felt like the X-Men. I am so into this event and excited for the other series in the event to come out. This issue we get to see the Marvelous X-Men in action, but along with that we get to see more of how X-Man crafted this world and continues to keep it under control. As we saw in Alpha love is illegal and the individual is what matters. Everyone is seemingly kept separate and this world is very much like a mutant stepford wives tale. Everything is fun and happy and pleasant but with this eerily creepiness about it. I love it and want to know more. That's the great thing about this book is while it gets you drawn in, it still manages to answer some of your burning questions while asking even more questions. While at first I was worried it would be a copy of Age of Apocalypse, and there were moments in Uncanny X-Men and Alpha that it did feel that way. After reading this issue it feels more like a hommage to AoP than an out right copy. This world has been meticulously crafted and if a permanent series was to come out of this event I would not complain at all. Also Nature Girl is one of my new favorite characters. I wasn't a fan of GenX so I haven't read much of her, but in this series wow she is amazing. I look forward to reading more of her and her bear. I get a lot of similar vibes from her like I did from Gabby aka Honey Badger but not quite as silly. She is definitely a great addition to the main roster and brings something fresh and new we haven't seem much of in the past. Overall this is a perfect first issue to take us full into Age of X-Man. It delivers everything you could want and more. I definitely have high expectations now for the rest of the books in this event and only time will tell if Age of X-Man lives up to it or not. But for now I highly recommend this event and consider it a must read.